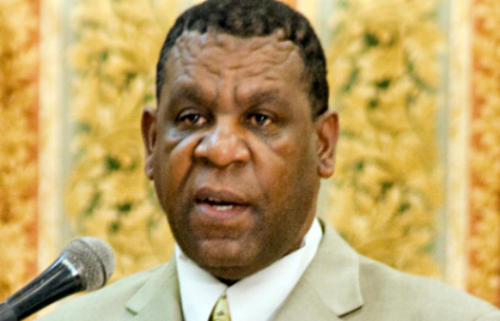 With a hail of criticism swirling over the effectiveness of the State of Public Emergency (SOPE) in St. James, Elan Powell, Assistant Commissioner of Police in charge of SOPE, has sought to assure the public that the vaunted crime-fighting measure has not lost its sting and is still very effective. ACP Powell related to the Western Mirror that despite criticisms, the SOPE is still as effective as when it was first introduced, but he explained that the security forces have had to respond to myriad changes by criminal elements and violence producers and the strategies used would reflect those changes. “The criminals are not going to be just waiting on us doing the same thing; they have changed their modus operandi, we have changed ours. So, you are going to see different things happening,” he explained. He went on further to point out that the SOPE has been in the parish for the past nine months and the operations will not remain the same every day, but must change to suit the situations as they arise. 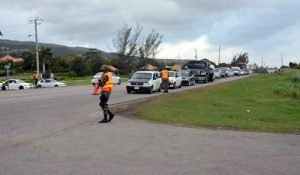 Members of the joint security forces carrying out operations at a checkpoint in the St. James State of Public Emergency. Turning his attention to the recent flare-up of violent killings in Granville, ACP Powell said a series of targeted operations have been ongoing in the community which has so far resulted in the seizure of a high-powered weapon. “Right now, Granville is locked down. We have had several operations ongoing in Granville. Incidents will happen but what is important is how we relate to those incidents. There is s strong security presence there and we have been searching house to house. We found a 9MM pistol up there so we are dealing with that area,” ACP Powell related. Quizzed about sporadic incidents in some problem areas in St. James, ACP Powell said: “Many areas are still of concern in St. James and we are paying attention to all areas. We can’t be in each area at the same time as we would like to be but we are not leaving any area unattended, we are achieving the objective of continuing to reduce incidents of violent crimes,” he concluded. The State of Public Emergency was introduced on January 18 this year.